The 2016-17 Pony Award Winners. #OHL - Very Barrie Colts | A website covering the Barrie Colts of the OHL. 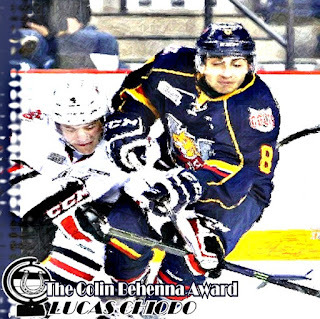 Congratulations to Lucas Chiodo who is the first winner of the Colin Behenna Award! Lucas had an outstanding season for the Barrie Colts! His rookie campaign last season saw him finish the year with 1 goal and 9 assists over 50 games played which had him 19th on the team with a total of 10 points. This season, Lucas finished the season with 22 goals and 31 assists for a total of 53 points in 68 games played. He ended his 2016-17 campaign with the 2nd most points on the team. More than 5 times his total production in his previous year, Chiodo ended the season with 3 power play goals , 2 game winning goals and only served 10 minutes in penalties. I don't think that there is any doubt that Lucas Chiodo was this seasons most improved player for the Barrie Colts. 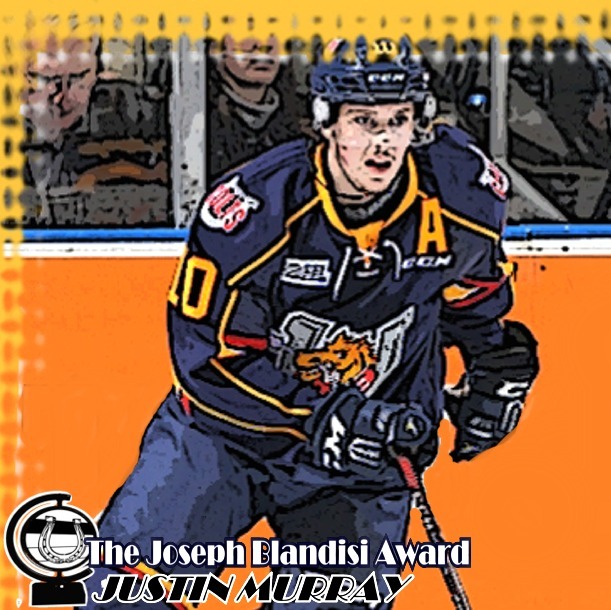 Congratulations to Justin Murray who is the first winner of the Joseph Blandisi Award! Justin ended the 2016-17 season with 2 goals and 22 assists. His 24 points was 8th most for total points and tied with rookie Tom Hedberg for most points on the team among defencemen. Murray almost doubled his total production from his rookie season. He put 116 shots on goal which was the 6th most on the team and the most among defencemen. 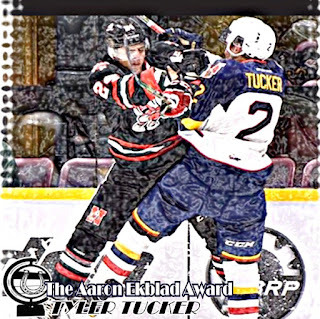 Early voting had Tyler Tucker with the lead in fan votes but over the last few days, Murray ran away with the vote. The final vote count saw Justin finish with 49% of the total votes. Jason Willms came in 2nd 24%, while Tyler Tucker finished in 3rd with 11%. Congratulations, Justin and thank you to everyone who voted and all the players who helped share the fan vote! 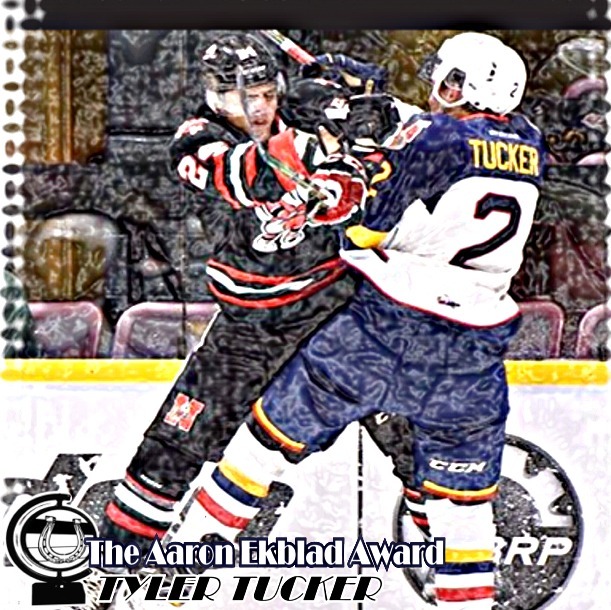 Congratulations to Tyler Tucker who is the first winner of the Aaron Ekblad Award! Tyler ended his rookie season with 1 goal and 13 assists in 62 games played. 14th most points on the team, 4th among defencemen and 6th among rookies. His point production was not what earned his being picked among the AVBCB staff. Though, he managed to put up good points, he was considered for his work in the defencive zone. His -12 2nd best on the team among players who played in at least 60 games with the Colts. Only Anthony Stefano ended the season with a lower plus minus. Tucker also was very physical. It seemed like he was hitting everything that moved at times and he managed to keep that level of physicality all the way to the final game of the season. That aggressive style also landed him 51 minutes in penalties which was 6th most on the team. Congratulations to Anthony Stefano who is the first winner of the Mark Scheifele Award! Anthony ended his OA season/ OHL career with probably his best OHL year. I am sure he would have liked to have made a run at the playoffs, but the team would have been in a much worse spot if it was not for his contributions. He ended the 2016-17 season with 22 goals (2nd on team/Most in his OHL career), 34 assists (1st on team/Most in his OHL career), and 56 points (1st on team, Most in his OHL career). He also lead the team with a plus minus of -3. Anthony ended his OHL career with 249 regular season games played. Over that time, he scored 69 goals and 96 assists for a total of 165 points. He averaged .66 points a game over his OHL career with Peterborough, Windsor and Barrie. Thank you for everyone who shared, voted and helped make the first Pony Awards happen! 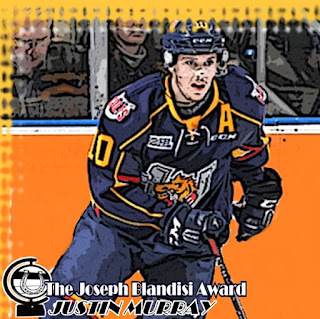 The outcomes of the awards (excluding the Joseph Blandisi award, which is a fan vote) were decided by a vote among the Very Barrie Colts staff and friends of the blog. Special thanks to Paul Clemente, Sebastian Jackson, Justin Stapelton and Trevor Ohara for helping with all of what went into this from awards ideas, names and winners. It would not have been possible with all of you!